Born at Toronto, Ontario on 18 September 1861, daughter of Edwin Hind and Jane Carroll, she was educated at the Collegiate Institute of Orillia, Ontario. She came to Manitoba in 1882 to become a teacher, but her credentials were inadequate and she ended up as a typist in a law office. In 1893 she opened her own typing bureau and first published in the Manitoba Free Press. Two years later she became western correspondent for eastern newspapers. 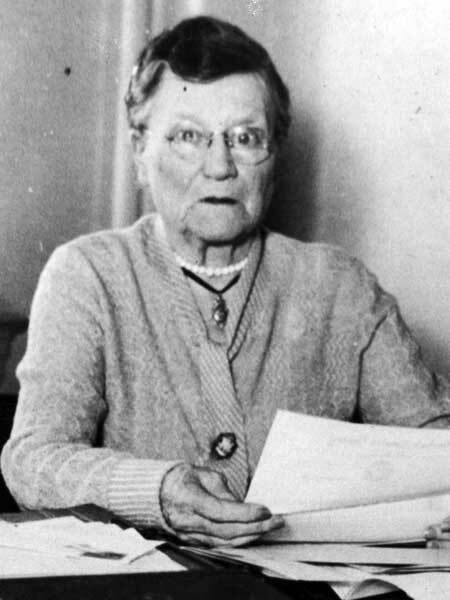 In 1901 she was hired as agricultural reporter for the Manitoba Free Press, where she became a noted journalist famed for her crop estimates, which usually contained less than a one percent margin of error. Hind was also involved in reform and women’s issues. She was a member of the Woman’s Christian Temperance Union, wrote newspaper pieces on living and working conditions in Winnipeg, and in 1894 helped found the Manitoba Equal Franchise Club. She was involved in the Women’s Institutes movement and in 1912 was a founding member of the Political Equality League. Like many reformers of her generation, she feared the influx of non-British “foreigners.” She wrote Red River Jottings (1905). Her account of agricultural conditions around the world, based on extensive travel, appeared in 1939 as My Travels and Findings. She was awarded an honorary LLD from the University of Manitoba and in 1935 was made an honorary life member of the University Women’s Club. In later years she put much of her energy into the Red Cross. She helped to organize, with Robert Aitken, William Pearson, and Dr. J. H. R. Bond, the Winnipeg Garden Club. She died at Winnipeg on 6 October 1942 and was buried in the Elmwood Cemetery. Some of her papers are in the University of Manitoba Archives & Special Collections and some are in the Archives of Manitoba. She was inducted posthumously to the Manitoba Agricultural Hall of Fame. Brave Harvest: The Life Story of E. Cora Hind, LL.D. by Kennethe M. Haig (1945). E. Cora Hind by Carlotta Hacker (1979).